Why are so many aesthetics practices, including dermatologists and plastic surgeons, embracing memberships as a marketing strategy today? Aesthetics Memberships and clubs allow your patients to fit their ideal cosmetic treatments and skincare products into a fixed monthly budget, which increases patient loyalty as well as your revenues. 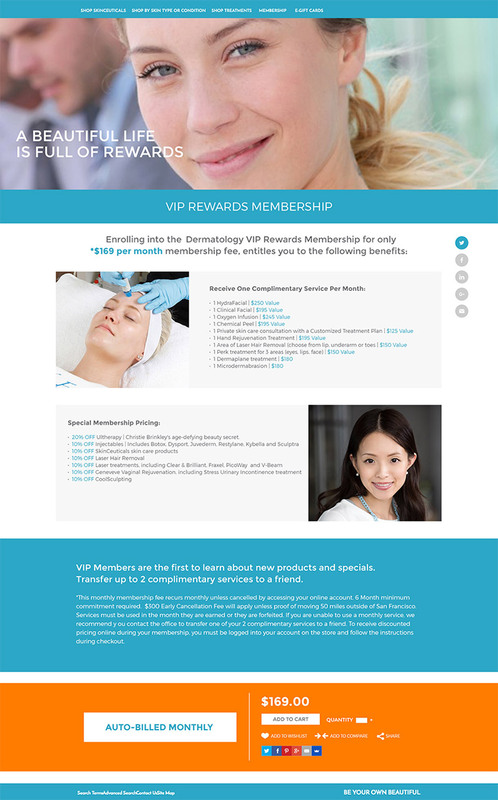 An aesthetics membership program creates better results for your patients because they are receiving regular treatments, and better results for your business because you have regular revenues from repeat customers. In short, skincare memberships can transform your practice with many benefits including increased visits per patient annually, increased revenue per patient annually, and higher patient satisfaction. • Helps the patient to maintain a regimen with the convenience of one low monthly payment that they can fit into their budget. • Programs that include exclusive member benefits and member-only specials can make the patient feel appreciated and special. Memberships are a win for your practice and a win for your patients, with proven impact on both patient satisfaction and spending. If you’re ready to dive in to memberships, there are a few things you should consider. Make sure the membership offers a quantifiable savings that you can articulate to your patient. Most patients will want to realize savings immediately, so a monthly fee that is lower than whatever service the patient can receive in the first month is a great start. Successful programs usually offer multiple membership plans so there is a plan for every budget. Having more expensive plans makes less expensive plans more appealing, so a stepped plan (i.e. gold, platinum, and diamond) can work well. A powerful strategy is to offer targeted plans that provide attractive benefits for each patient type and interest. For example, a membership for BOTOX® savings, a membership for monthly HydraFacials®, another membership for regular chemical peels, etc. A great example is what top cosmetic dermatologist Dr. Eugene Nowak has implemented at Nowak Aesthetics in San Diego. When it comes to marketing your memberships, you’ll want to utilize professionally designed banners and landing pages on your website and email communications to members. If you have an online store, you can not only market and sell the memberships online and automate the monthly payments, but you can ensure your members receive their member benefits online, including discounting and free shipping for members. 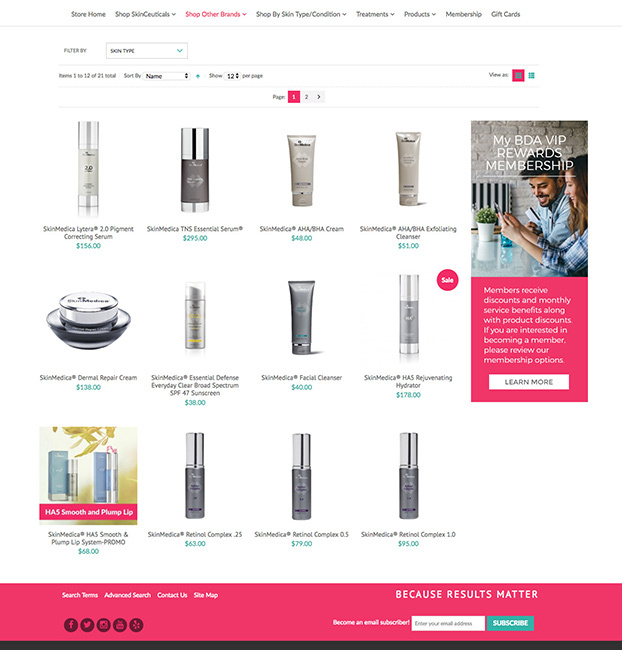 Find out more about how DermPRO can build your online store and configure, manage, and market a membership program for your practice. Memberships are a growing trend right now, and we have some exciting packages available for promoting and marketing memberships. Contact us for more information by filling out the demo request in the sidebar. 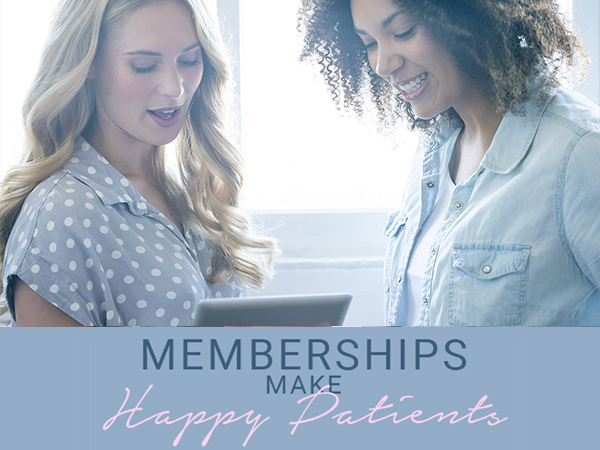 Benefits of a Membership Program include increased visits per patient annually, increased revenue per patient annually, and higher patient satisfaction.